American made is almost an anachronism now, but good manufacturing jobs drove America's post-war economic golden age. Fifty years ago, if you held a job on a line, you were most likely a member of a union. And no union was more powerful than the United Auto Workers. Before the slow decline in membership started in the 1970s, the UAW had over 1.5 million members and represented workers from the insurance industry to aerospace and defense. The UAW isn't the powerhouse it once was. Today, just fewer than 400,000 workers hold membership in the UAW. Unions are sometimes blamed for the decline of American manufacturing, as companies have spent the last 30 years outsourcing their needs to countries with cheap labor and fewer requirements for the health and safety of their workers. Unions formed out of a desire to protect workers from dangerous conditions and abject poverty once their physical abilities were used up on the line; woes that manufacturers now outsource to poorer countries, along with the jobs. Striking was the workers' way of demanding humane treatment and a seat at the table with management. Most strikes are and were local affairs, affecting one or two plants and lasting a few days. But some strikes took thousands of workers off the line for months. Some were large enough to change the landscape of America. 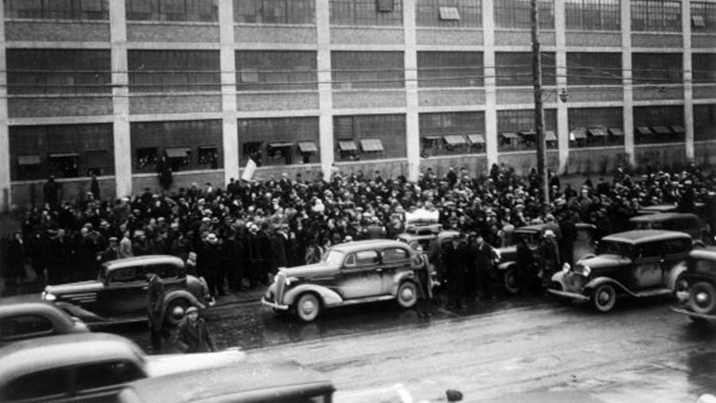 In 1936, just a year after the UAW formed and the same year they held their first convention, the union moved to organize workers within a major manufacturer. For extra oomph, they went after the largest in the world – General Motors. UAW Local 174 president Walter Reuther focused on two huge production facilities – one in Flint and one in Cleveland, where GM made all the parts for Buick, Pontiac, Oldsmobile and Chevrolet. Conditions in these plants were hellish. Workers weren't allowed bathroom breaks and often soiled themselves while standing at their stations. Workers were pushed to the limit on 12-14 hour shifts, six days a week. The production speed was nearly impossibly fast and debilitating injuries were common. In July 1936, temperatures inside the Flint plants reached over 100 degrees, yet managers refused to slow the line. Heat exhaustion killed hundreds of workers. Their families could expect no compensation for their deaths. When two brothers were fired in Cleveland when management discovered they were part of the union, a wildcat strike broke out. On January 1, Flint followed suit with a UAW organized sit-down strike. By early February, nearly 200,000 employees were idle and production dwindled from 53,000 cars a week to 1,500. For 44 days, workers occupied multiple plants at GM's Flint facility. Strikers created a city-like structure with rules and courts inside the plant to keep the workers safe and protect GM property. On January 11, police tried to storm the facility, but the workers were too well fortified. They returned police gunfire with rocks and bottles. Fourteen workers were injured during what was later called "The Battle of Bulls Run" after strikers chased the cops, or "bulls," off the property. In the end, Michigan's new governor, Frank Murphy, sent the National Guard in to protect the strikers from Flint's cops. GM reached an agreement with the UAW on February 11, granting $25 million in wage increases and promising better working conditions. This set off a tidal wave of similar strikes at other manufacturers. Some manufacturers immediately raised workers' pay in the wake of the strike to avoid their own troubles with employees. Within a year, UAW membership grew from 30,000 to 500,000 and wages for union workers shot up 300 percent. For 113 days, 320,000 hourly UAW workers nationwide went on strike against General Motors. During World War II, unions across the nation signed a 'no strike' pledge to keep America's war machine humming, though unauthorized wildcat strikes sporadically popped up. After the war ended America experienced a 'strike wave' as lucrative defense contract work dried up. Returning vets couldn't find work, and what they could find was low paying. More than five million Americas went on strike in 1945-1946, including railroad workers, miners, meat packers and, of course, autoworkers. Walter Reuther began pushing for higher wages. In negotiations with General Motors, they sought a 30 percent raise and greater control of production prices. Detroit was the Arsenal of Democracy, after all, and GM was rolling in post-war capital. Pointing out GM could afford to pay was a bad tactic however and raised many thorny questions for the union. In the end, the strike was considered a failure. Wages rose only 18 percent, not enough to keep up with the post-war decline in take-home pay. Furthermore, the automaker was able to temporarily eliminated the UAW's price control powers and refused to open their books to the union. The strike did cement Walter Reuther as a leader in the labor movement however, and he was elected president of the UAW in 1946. Another big year for strikes, more than two million Americas hit the picket line in 1970. Chrysler, which has always had an unusually high number of strikes, was hit hard. 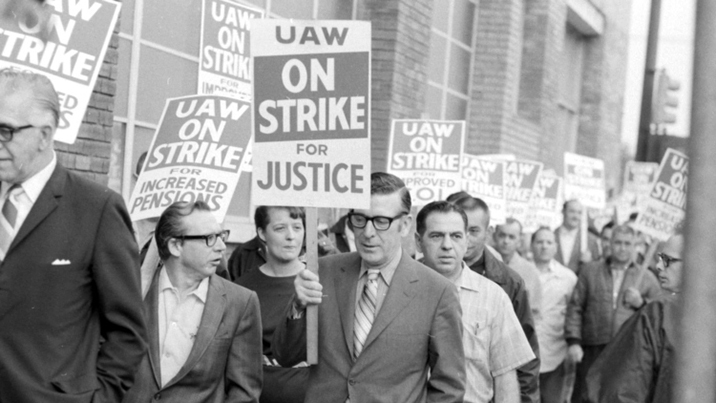 In 1970, 1,174,001 workers walked off the job in UAW authorized strikes. At the time, Chrysler was the tenth-largest corporation in the US. When a corporation that big is out of commission the effects are felt throughout the country. The strike shook multiple auto parts suppliers and steel manufacturers, causing massive layoffs. The strike lasted 67 days and the unions won a 13 percent raise for workers. More than 120,000 workers went on strike for 205 days against the heavy machinery manufacturer, making it the longest in UAW history. 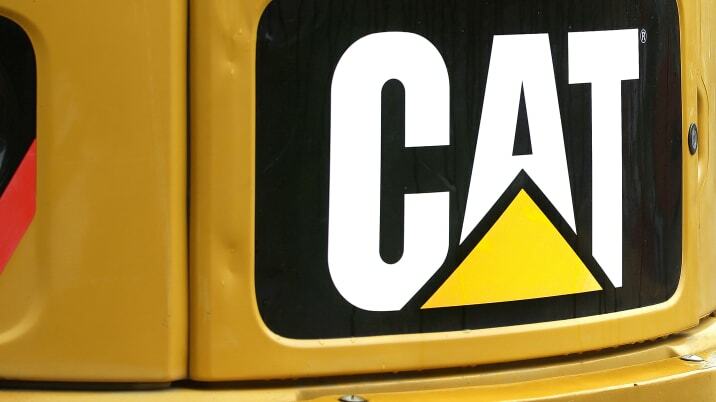 The union had sought a solid, five-year contract with Caterpillar, but walked way with only a three-and-a-half year contract which also included a wage freeze and reduction in bonus time paid for perfect attendance. The UAW won a stronger profit-sharing plan and employee stock ownership option. 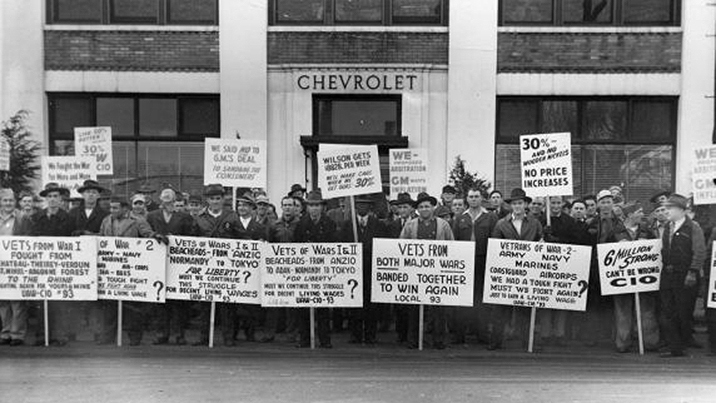 Only 9,200 workers participated in this 54-day strike, but it reverberated throughout GM and the American economy. The strike stopped production at 30 GM assembly plants and 100 parts plants across North America. Some 193,000 non-union workers were laid off at GM and the company's parts suppliers. GM and the UAW eventually reached an agreement where the automaker pledged to reinvest in American factories while the workers promised a 15 percent increase in output. But the damage was done. GM was crippled to the tune of 500,000 vehicles and lost $2.3 billion in profits. Production of newer models had to be pushed back months. GM was so large that the strike shaved one percent off America's gross national product. To some, this strike marks the start of the serious decline of auto manufacturing in Flint. 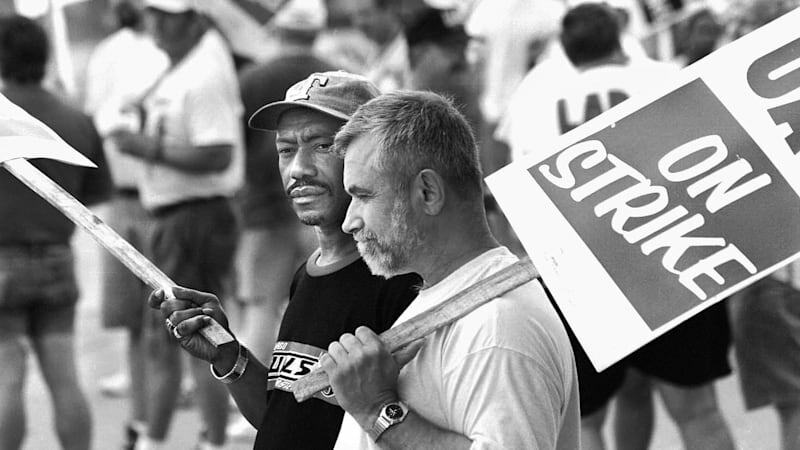 Fifteen years after the '98 strike the Flint-based workforce had dwindled from 30,000 to 7,500 and GM shuttered more than 10 facilities.